Tried several names that included 'dead' but the message reports that they are in use even though they don't seem to be. No results for groups either. Please don't try and tell me that the user database, the group database, and the tag database are the same database. 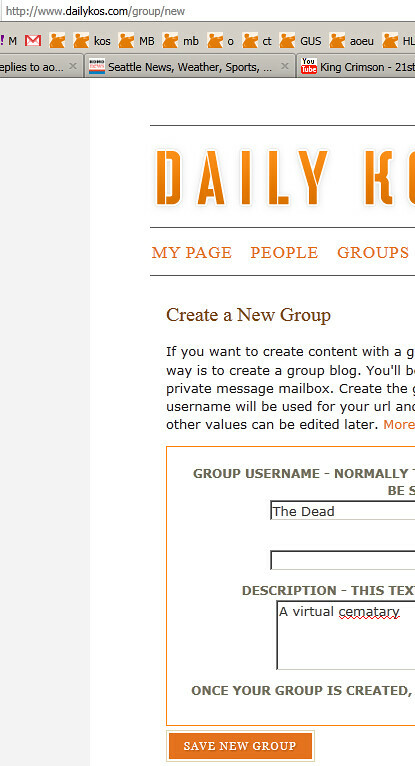 The user and group namespace is one, but "The Dead" does not appear to be taken. You're getting the 'group already exists with this name' message? It isn't obvious that the second box is the important one. 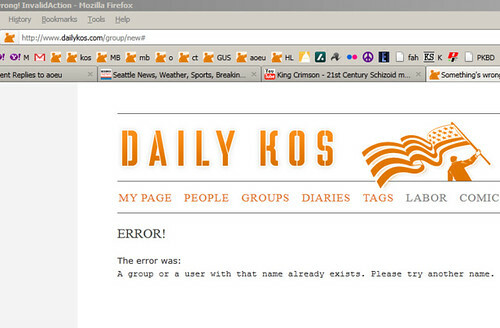 The fail message is not helpful either.